If you asked her four years ago, Willow Bender would have told you she’d be out saving sea turtles right now. "I never thought I would ever have a passion for anything other than sea turtles,"she says. But now she’s rescuing all sorts of birds, reptiles and other fuzzy critters. 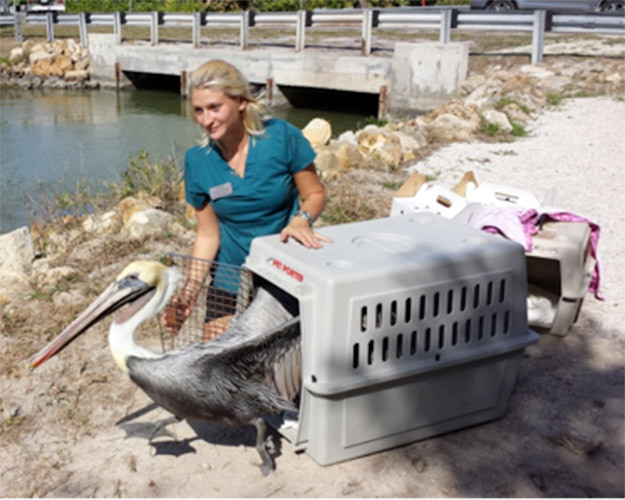 Working at the Clinic for Rehabilitation of Wildlife, or CROW, in Sanibel Island, Fla., the 25-year-old is helping to mend wings, repair cracked shells and nurse back to health the roughly 4,000 animals that are brought into the non-profit facility each year. 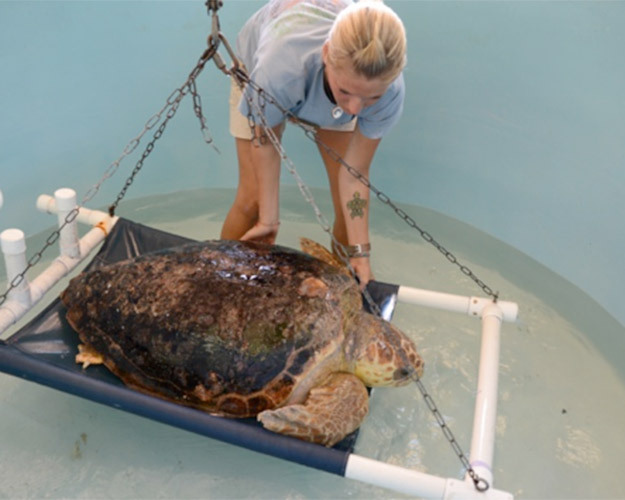 Whether it’s a gopher tortoise that has been hit by a car or an eagle that got stuck in a canal, her job as senior wildlife rehabilitator presents a whole range of ailments and injuries to tackle. And while it may take some time and patience, the end results often tend to be rewarding: “Finally you see the progress… and one day they seem to be doing better,” she said. I wake up, take about 10 minutes to get ready and then begin my 15-minute commute to work. The work day starts with morning rounds with students, staff, and volunteers. This gives us the opportunity to discuss each patient case and course of treatment. 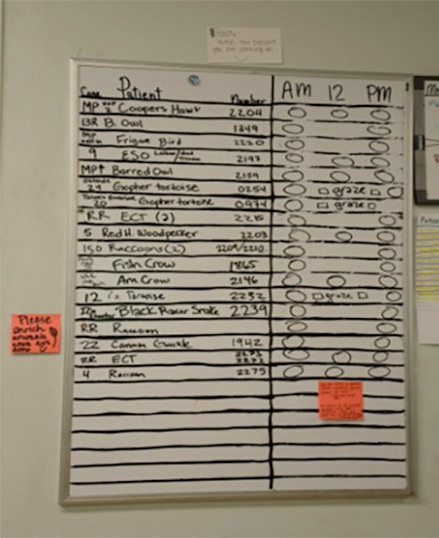 CROW sees around 4,000 patients per year, so keeping them all organized is of the utmost importance. Breakfast time! All the diets are prepared for the outdoor patients. This means making food for pelicans, birds of prey, otters, tortoise, and song birds -- just to name a few. The pelicans will get fresh frozen fish. The songbirds will get soaked kitten chow, fruits, berries and meal worms. 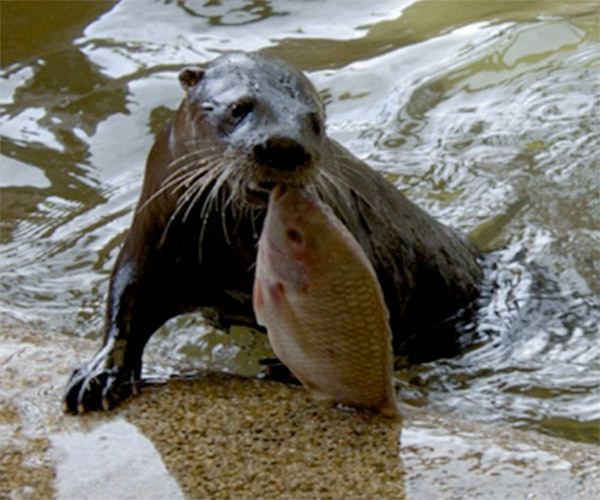 Otters will get fish, live crab and shrimp so they actually have to use their skills to hunt. 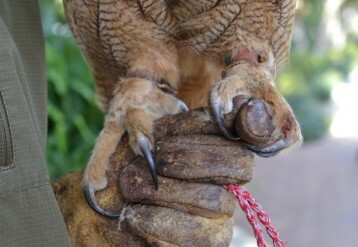 And the birds of prey get fresh frozen chicks and mice. After all the diets are prepped, it’s time to help the students with the morning feedings of the baby raccoons and opossums. Some babies have to be fed 5-7 times per day so starting early is essential. 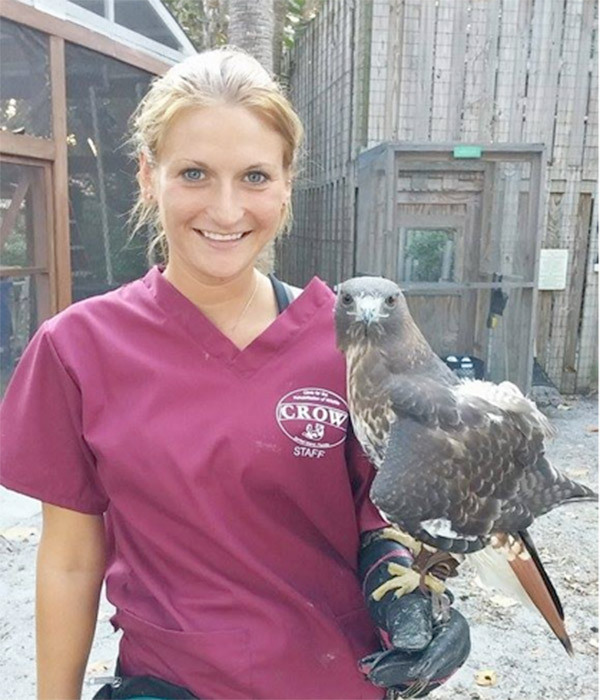 Typically, the students at CROW are studying biology, veterinary medicine or to become vet techs and they will do a two- to three-week rotation at the wildlife hospital. 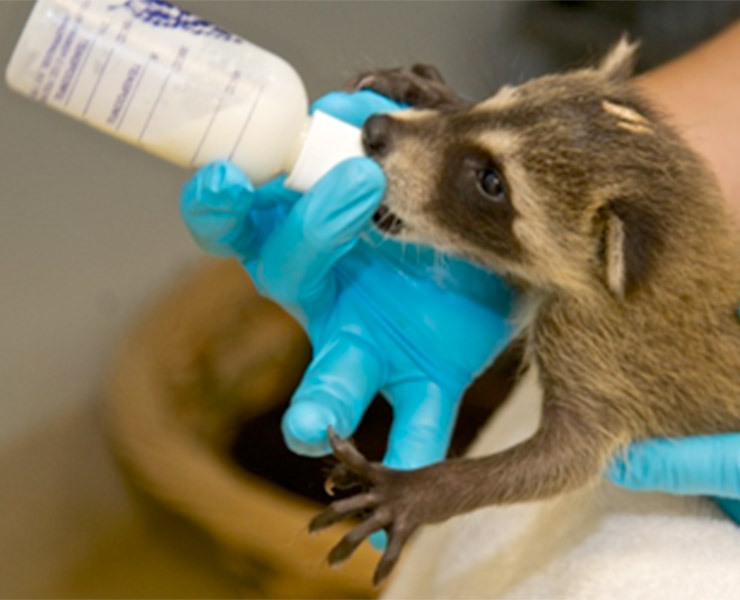 This raccoon baby is about 4-5 weeks old. He will be bottle fed until he weighs 2 pounds. 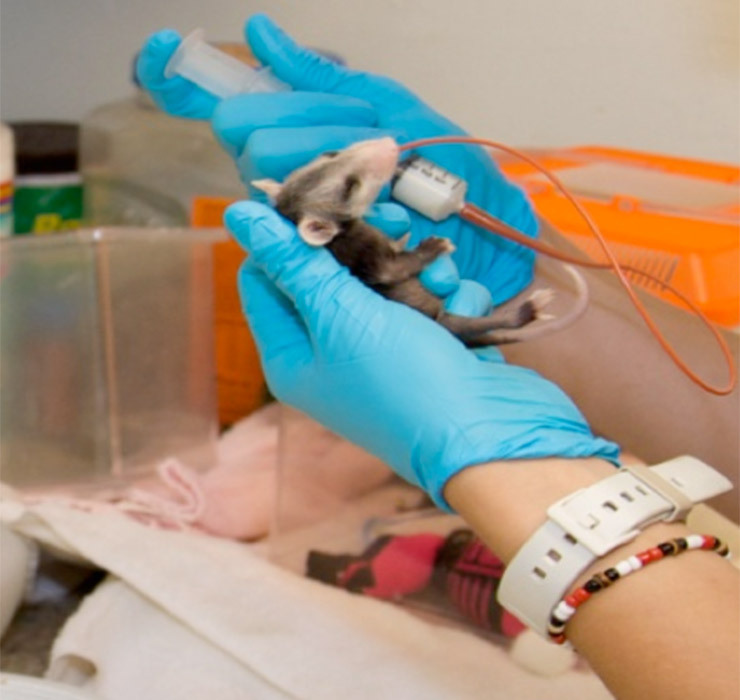 This baby Virginia opossum weighs about 40-45 grams and requires a feeding tube. Now it’s time to take care of the outdoor patients. These are animals that are usually well stabilized and off of medications. 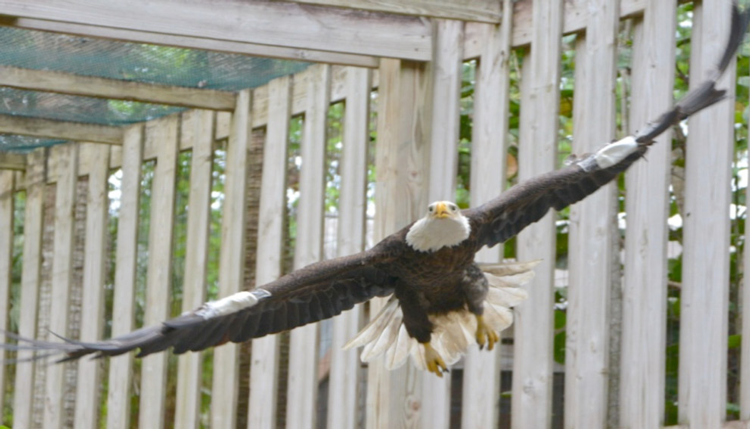 They are housed in one of our 17 different enclosures to gain strength, recuperate, and build endurance. Daily care includes general husbandry, taking weights, and coordinating with the vets for any checks that need to take place. 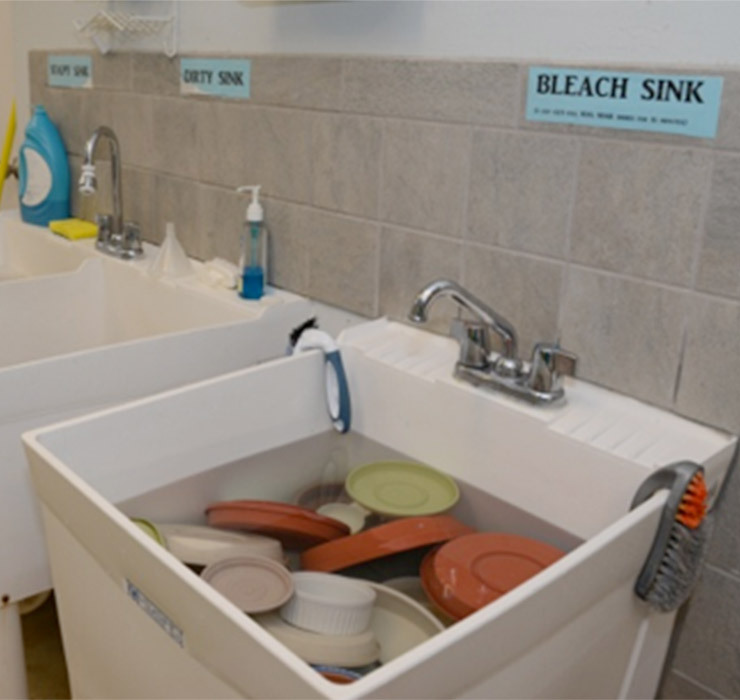 It also entails doing copious amounts of dishes and laundry because we use towels for all sorts of things -- restraining animals, cleaning the facilities, making sure they are comfy in their cages, drying them off. During morning cleaning, it is my time to observe all the patients behavior, and overall health. This includes looking for any wing droops, assessing flight, mobility, strength, and appetite. This eagle is on the mend after it was found in the water in a canal. Time for the patients outside to get their vet checks. This entails possible repeat radiographs to check up on things like broken bones, blood work, wound management and injury assessment. 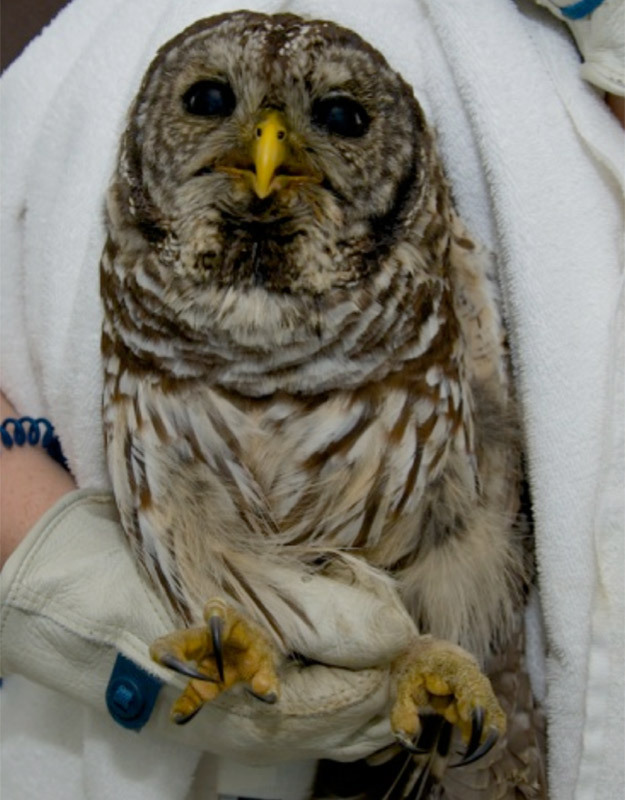 Restraining an owl with a towel during a checkup. Reptile time! The best time of the day! 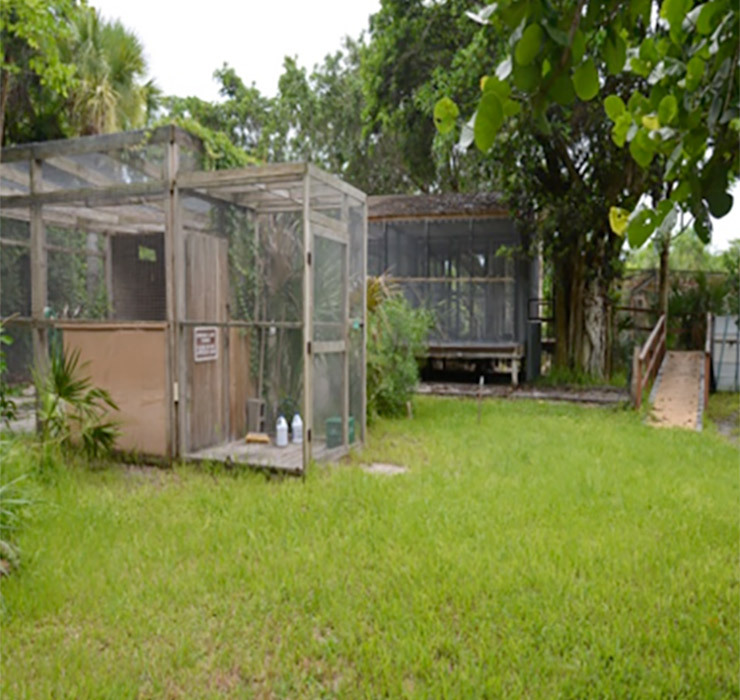 This is when I take care of all the box turtles, gopher tortoises, aquatic turtles, and sea turtles. 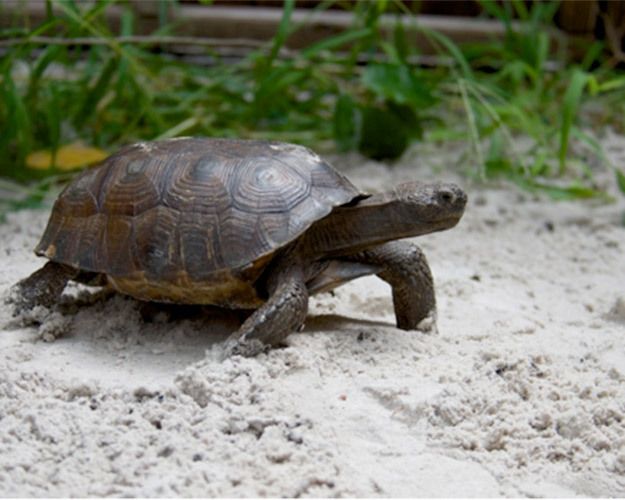 Gopher tortoises usually come in to the clinic after being hit by cars, and usually stay for several months. Daily care of the tortoises includes giving them tub time, taking them outside to graze, doing bandage changes, and giving medications. This Florida box turtle is missing part of his shoulder after being attacked by a predator, most likely a coyote. CROW gave him a fiberglass patch and released him. 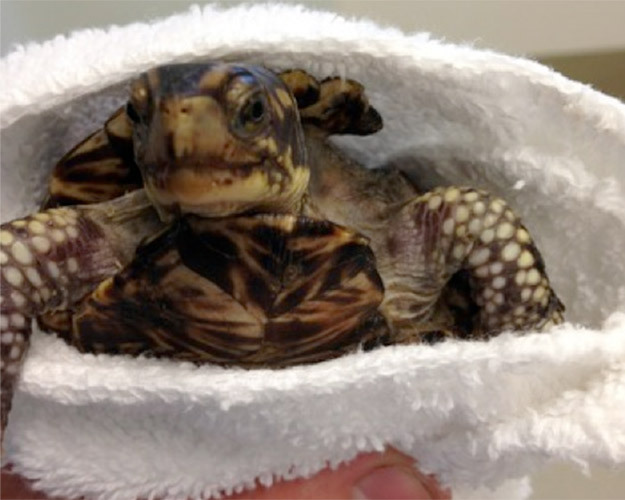 Gustavo, a gopher tortoise, came in with hind limb paralysis. Months later he was released with full mobility. The afternoon is a great time to wrap up any last minute treatments, tank changes, and to finish up any projects. It’s also a great time to assemble enrichment items, such as natural foliage for the mammals. Willow prepares this loggerhead sea turtle for a good scrubbing. 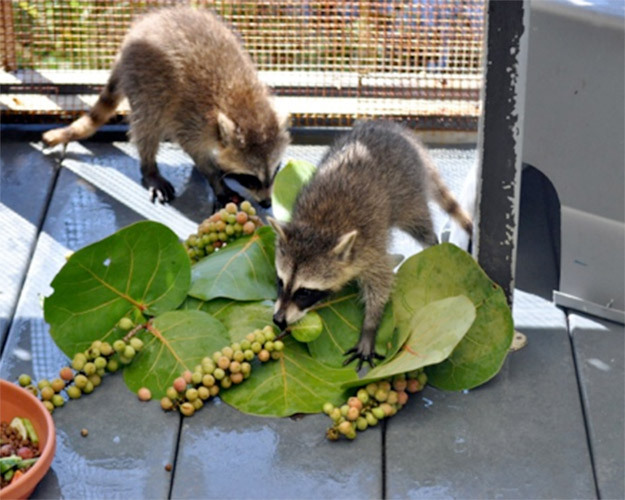 Two raccoon patients investigate a snack of sea grapes. 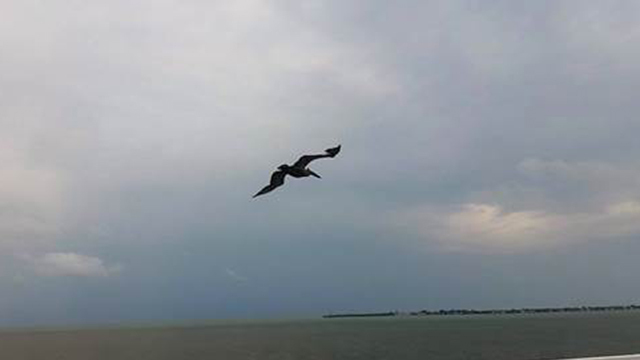 This is the perfect time of day to release patients that have come from Sanibel Island. It’s definitely one of the most rewarding parts of the jobs! Willow releases an adult pelican about 15 minutes away from CROW’s facilities. Dinner time. This is when afternoon diets are made and delivered. 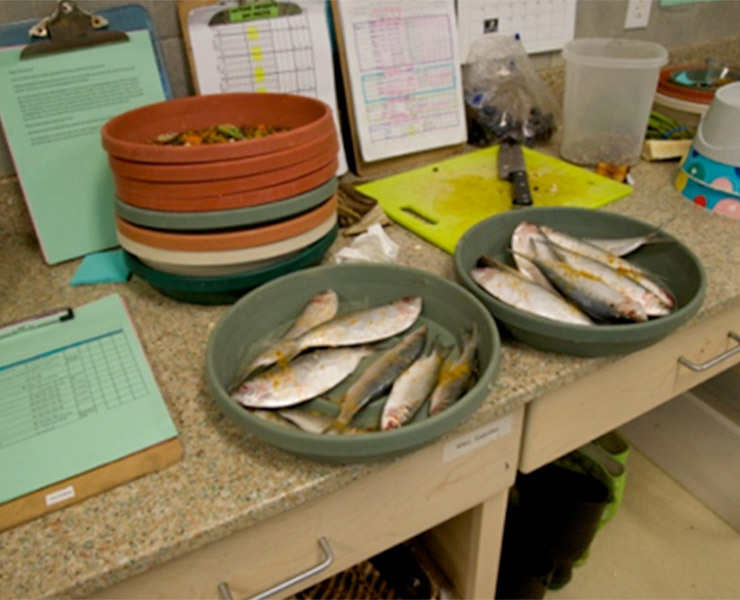 It’s always very exciting and entertaining to see the patients enjoying their meal. 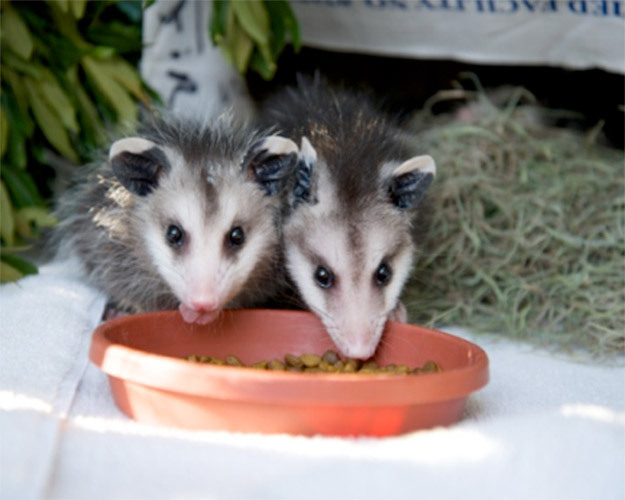 Opossums will eat anything, as will raccoons and river otters. As the work day wraps up, this is my opportunity to spend time with our animal ambassadors in our education center. We have live feed cameras, so people who visit CROW can see all the animals without disturbing them, but they can interact with our ambassadors in person. My work with these animals includes relationship building and daily maintenance of trained behaviors. One of my favorite activities is going for “hawk walks” with our resident red-tailed hawk Talon, around the hospital grounds. Willow takes a walk with Talon, the red-tailed hawk. 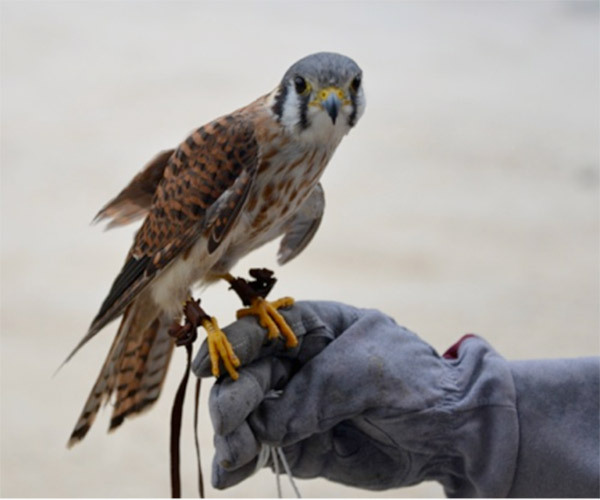 Lola, an American Kestrel, is one of CROW’s animal ambassadors. Ending the day with last-minute checks on all the patients outside, and locking up their enclosures for the evening. Then it’s time to update all the patient records on the computer, including information about their appetite, behavior, injuries, illnesses, and any changes in medical treatment. Now it’s time to head home, hopefully in time to catch the sunset! I arrive home and make dinner. It’s currently turtle nesting season so lately I’ve been taking a quick power nap between 9 p.m. and 11 p.m. then waking up to go look for loggerhead sea turtle nests and make sure they are adequately protected from predators like coyotes and alligators. I walk to the beach to look for loggerhead turtle nests. The nesting season lasts May through October, with the hatchlings typically starting to arrive in August. I head home and go to bed.